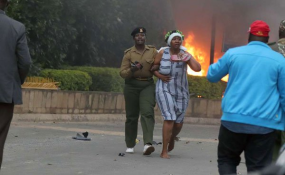 President Uhuru Kenyatta has said 14 people were killed in the terrorist attack at the dusitD2 complex. “I can confirm that the security operation is over and all the terrorists have been eliminated. 14 people have died. We are grieving as a country this morning,” President Kenyatta said. He added that 700 people were rescued from the complex.